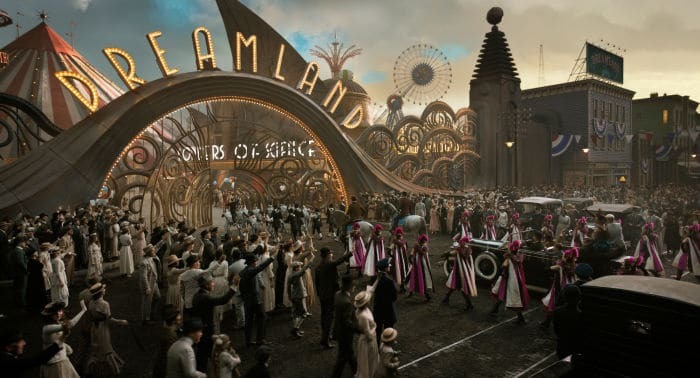 Disney and Tim Burton teamed up to reinvent Dumbo for the big screen. I took my 7-year old to see the updated film and there are a few things I want parents to know before heading to the theater. 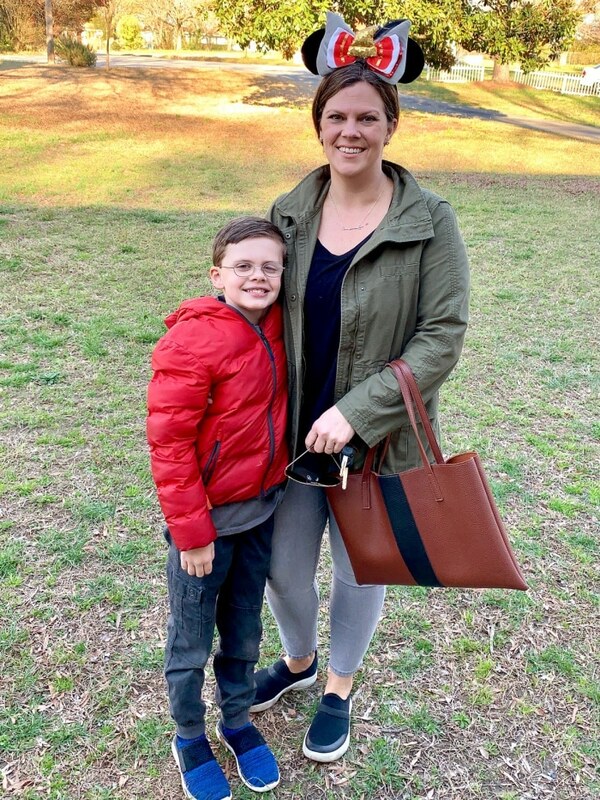 Read on for my Dumbo movie parent review. The re-imagined Dumbo flies into theaters this weekend and I’ve been looking forward to this film ever since I saw the first trailer. My son and I screened the movie earlier this week and I have things to say. If you have seen any of the critic reviews so far, you know there is a pretty split opinion on this version of the Disney classic. 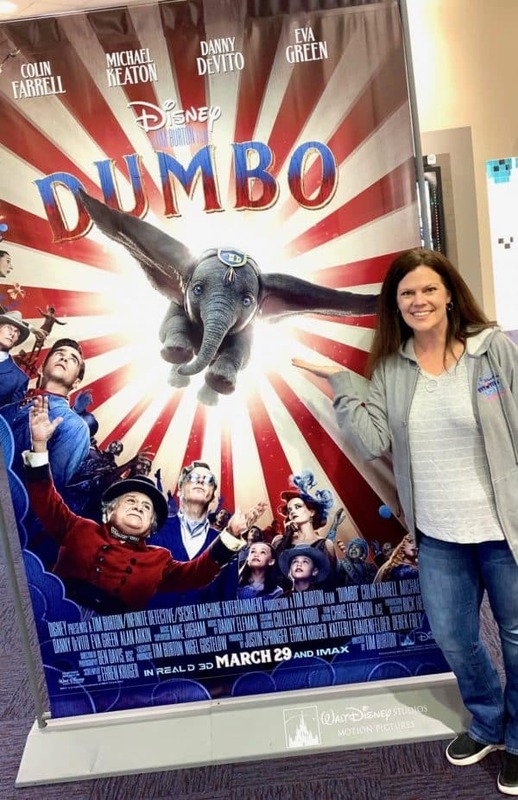 There are some things I want parents to know before seeing Dumbo with young kids and I am really excited to hear what audiences will think of the new Disney Dumbo movie. Out of the gate, critics were split on whether or not making this film was a good idea. Dumbo is practically synonymous with Disney and you don’t mess with a good thing. I’m a pretty big Dumbo fan already so I was a mix of excited and nervous about how Tim Burton would bring this character to a new generation. I get the trepidation but I also thought the original could use some updating. Tim Burton’s Dumbo is an amazing CGI feat. I found myself staring into the screen awestruck at how real and adorable he looks and I’m pretty sure my son had a hard time remembering this was in fact, not a real elephant. His emotion reached me more than anyone else and I’ve already talked about those eyes. They are even better on the big screen. The colors and sets were dark and beautiful and perfectly chosen for the mood of the film. It’s definitely the Tim Burton touch and it works. The costumes and use of texture made it really hard to tell what was real and what was added in later. Nothing pulls you out of a movie faster than bad CGI and I’m happy to say that Dumbo soared in this area. As a fan of the original Dumbo, I was looking for nods to the 1941 classic and I definitely found them. You’ll see Casey Jr., hear some familiar tunes and without saying too much, hopefully be pleasantly surprised by the new version of Pink Elephants on Parade. It seemed like the movie fell into two parts. Despite the addition of human characters, the first half very closely mimicked the original and then the story continued with entirely new content. We knew it would be this way because you don’t go from a 1-hour cartoon to a 2+hour feature film without new stuff, but there was something about it that was disjointed. I would have loved to see more character development from Michael Keaton and Alan Arkin and I felt pretty critical of the writing overall for the adults in the movie. Danny DeVito’s portrayal of the ringmaster got off to a rocky start, but he won my heart by the end of the movie. I wanted to love Colin Ferrell’s Holt Ferrier but I could never connect with him as a character. That said, I thought Nico Parker and Finley Hobbins as sister and brother duo Millie and Joe did a great job and I enjoyed their addition to the story. I’m sure we will see more from them both. Is the new Dumbo ok for Kids? As we left the theater, I asked my son what he thought of the movie. He said it was good and he liked it. I don’t regret taking him because I know what he can handle, but I do want to share a few themes that may be concerning for some of you and I’m about to get a little spoiler-ish so consider this your warning. We all know that Dumbo gets separated from his mother, but we also learn early in the film that the children’s mother has died. Their father returns from a war missing an arm and there are long looks and a bit of ridicule here. Depending on the ages and personal sensitivities of your kids, this may be a bit disturbing or emotional. There is no swearing or anything sexual, which I didn’t expect to see anyway but I did want to point that out. What you do see is greed, anger and a bit of yelling. In fact, the part that seemed to disturb my son the most was when one character loses his temper and starts destroying things. Calvin kept whispering to me, why isn’t ** stopping?? Why won’t ** stop? 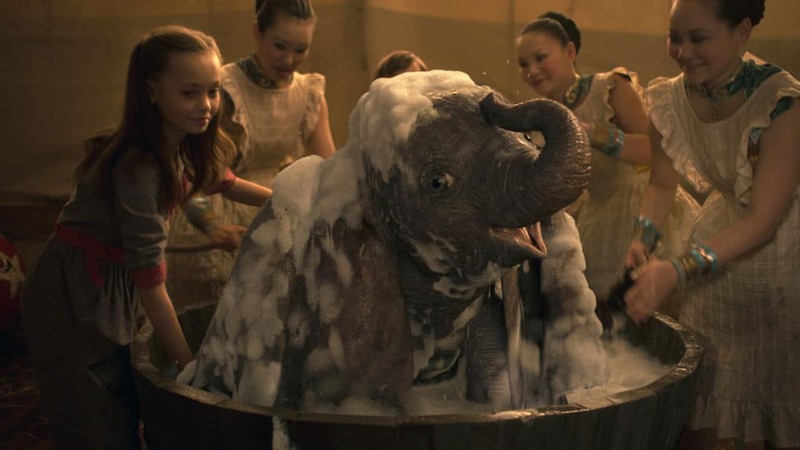 The Dumbo scenes were all amazing to watch and I think kids will really enjoy him as a character. Of course we already have a lot of Dumbo love over here. If you think your kids won’t mind the somewhat heavy or tense messaging, they should be fine seeing this PG-rated film. Here’s a 1-minute look at our first thoughts right out of the theater. And by the way, if you aren’t following me on Instagram, go ahead and do that so you can keep up with my Disney Minute videos posted every Tuesday and Friday! Were my expectations too high for a Disney movie? Maybe. Maybe not. Was it the best Disney movie ever? No. But we had a great mother-son date night and that’s enough for me. After seeing Dumbo, I chatted with a few of my WDW Event Chat ladies on Facebook Live about the film and our Dumbo fandom in general. Check it out to see all of our thoughts below. Dumbo is rated PG and opens everywhere on Friday, March 29, 2019. The runtime is 152 minutes. Watch the trailer below and let me know your thoughts on the new Dumbo when you see it! I’d love to know what you think when you do!